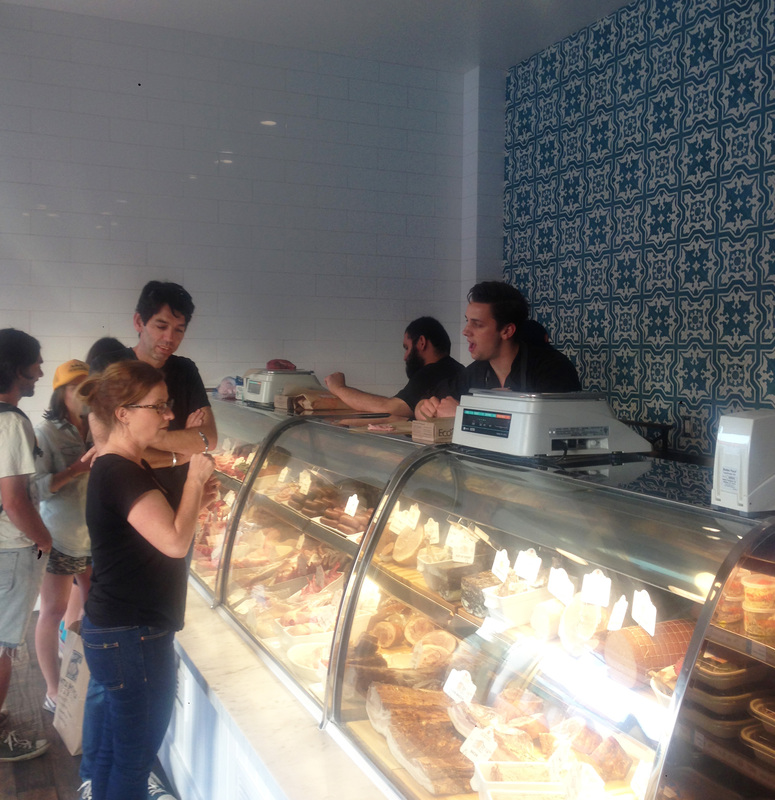 Belcampo is open for business at its newest location on Wilshire Boulevard in Santa Monica. 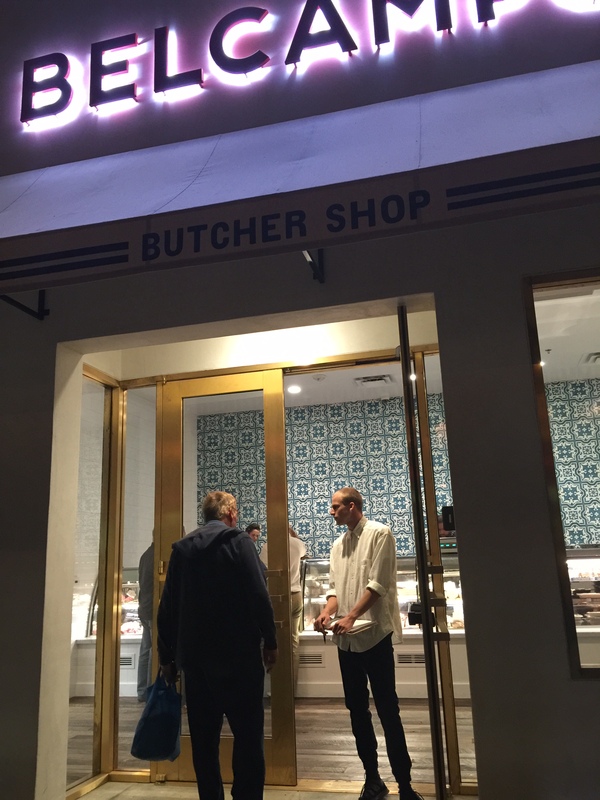 It’s the second Los Angeles-area butcher shop and restaurant for the company, which has a popular location within Grand Central Market downtown (one of Bon Appetit’s top 10 new restaurants last year). Guests arrive at the Belcampo opening party. Collaborating with the Belcampo team and Uchizono Design Development, BCV designed the floor plan and layout of Belcampo’s Santa Monica location, creating distinct butcher shop and restaurant spaces in a single unique location. The design continues the company’s innovative approach to offering the highest-quality meats direct from its northern California farm. 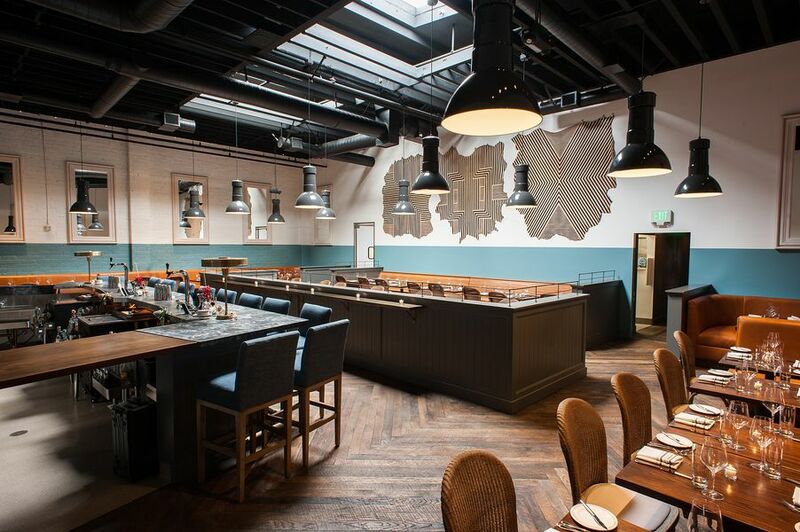 BCV designed Belcampo’s original location in Larkspur, as well as shops in San Francisco, Santa Barbara, Palo Alto, Grand Central Market and the company’s farm office and production kitchen in Gazelle, California.